Should You Change Your Care Management Mission to Say You Want To Make Money? Geriatric care managers must change their mindset and mission to bill 85% of their client time. Your mission must suggest that you are 100% clear you want to make money. It must appeal to the top 10% of the eldercare population seeking help for a senior. You use marketing and copywriting skills. A mission can be your tagline” Understanding Concierge Care Needs: Delivering Gold Standard Solutions”. Your geriatric care management business plan starts with your mission statement, which should state the core of your business in a few sentences. The mission statement should reflect the goals and values of your organization including making money. It should be short, focused, perhaps only 20 words, written in the present tense, in positive terms, and without qualifiers. As the beginning of your business plan, your mission adds a key part to a document that will allow you to plan your business and get investors or business start-up loans funded by banks. These entities will know you plan to make enough profit to pay them back through your mission and financial projections. Your mission tells the upscale protentional clients you market to that they can expect the exclusive service they seek that is by nature expensive. 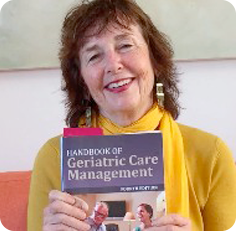 Learn these 5 Critical Steps to Financial success, including crafting your mission, from Cathy Cress, MSW, author of the book known as the bible of geriatric care management. Learn how to transform your GCM entrepreneurial idea into a profitable reality before you even open your doors. Watch my YouTube below to learn how to craft a winning mission or tagline.